As more than 13,000 people from all parts of our ever-expanding industry embark on the annual pilgrimage to the south of France, it’s time to place our bets on what work will shine in the Côte d’Azur next week. So what can we expect at the 62nd edition of this great creative summit? The macro trends point towards more invention, new partnerships and a relentless drive to harness earned media to deliver impact at scale. The Film categories promise great performances, production and some particularly outstanding work in animation. Invention is the zeitgeist of the moment. Technology has been the biggest story to emerge from Cannes over the past decade — it has undeniably influenced all aspects of our business. But smart marketers are unleashing the power that technology holds in a fundamentally new way and seizing the potential to create new products, services and, most ambitiously, solutions to challenges faced by humankind. Last year set the stage with creations intended to prevent troubles ranging from highway collisions (Samsung "Safety Truck") to shark attacks (Optus "Clever Buoy"). 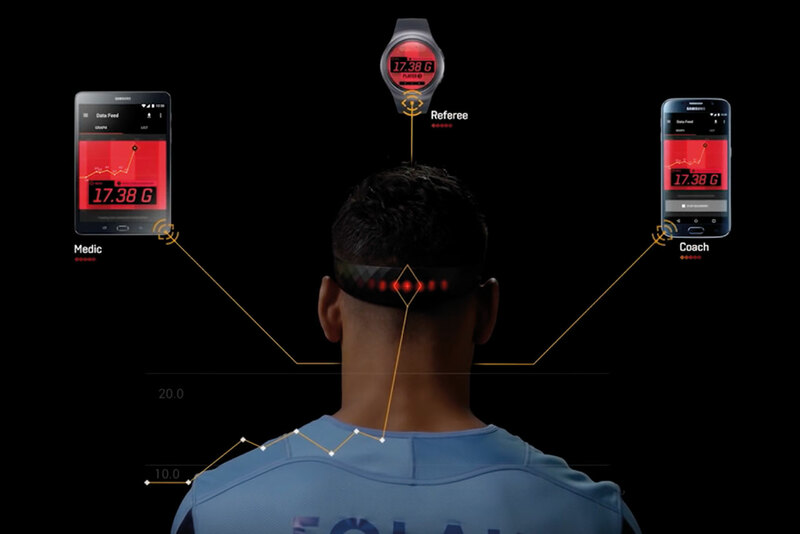 Among this year’s contenders, favorites include an ingenious device to reduce concussive head injuries (Samsung "BrainBAND"); an elegantly simple idea to make driving near schools safer (If insurance "Slow Down GPS"); and a fuel created from the byproduct of beer (DB Breweries "Brewtoleum"). Thanks to the alchemy of creativity and technology, brands are limited only by their imaginations. If insurance "Slow Down GPS"
Next question: If your campaign earned less than a trillion impressions, did it even really happen? It’s a fair one to ask when masthead collages and retweet counts make up the back half of any given case study film. In 2016, we find even more brands staking their fortunes on the promise of earned media. The "#NotComingSoon" effort for Rémy Cointreau’s Louis XIII cognac takes it to an extreme, with a feature film starring John Malkovich that won’t be screened for another hundred years. Until then, they should be just fine letting the headlines speak on their behalf. Elsewhere, brands are grabbing the news cycle by the horns, finding ways to commandeer the biggest events of the day with ambition and aplomb. Consider the Netflix House of Cards "FU2016" campaign, which cleverly inserted the wily Frank Underwood into America’s presidential election. Either way, our future looks increasingly intertwined with our counterparts in the press. Netflix House of Cards "FU2016"
Speaking of partnerships, expect to see more unique and imaginative collaborations between marketers and the likes of Silicon Valley upstarts. Beyond social powerhouses such as Facebook, a broader spectrum of unicorns are providing new creative canvases and partnering brands in fresh ways. 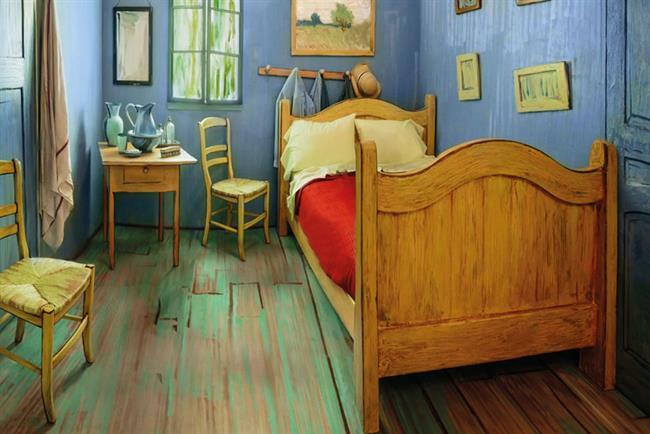 To wit, the Art Institute of Chicago’s "Van Gogh BnB", which brought one of the artist’s famous bedroom paintings to life as a physical, three-dimensional room. When the room was made available to rent on Airbnb, bookings sold out in three minutes. Even better, the museum saw its highest attendance in more than 15 years. Art Institute of Chicago’s "Van Gogh BnB"
But enough of the heady stuff — which celebrities shall we see? One favourite shows how to act your way out of an awkward moment. Jeff Goldblum gives a masterclass in receiving abhorrent Christmas presents with dignity in a set of hysterical spots for Currys PC World. Meanwhile, prepping for his fifth and final Olympics in Rio, champion swimmer Michael Phelps invites us to watch the gruelling regimen that’s getting him there. In Under Armour’s "Rule yourself — Phelps," we get an intimate glimpse into those long, solitary hours of training and recovery. It’s gripping film-making. In the Film Craft category, where the future and production wizardry typically reign supreme, a modern take on a classic format could very well scoop the top prize. "High school girl?" for Japanese make-up brand Shiseido, opens on a shot of what appear to be schoolgirls in a classroom. Through one long, continuous shot, it’s revealed that these girls are actually boys, transformed through the magic of Shiseido cosmetics. It’s a product demo that’s both entrancing and convincing. Since its early days, Cannes has always looked fondly on animation. The versatility of the medium keeps it fresh and this year’s crop proves that the form is vibrant as ever, capable of truly powerful storytelling. Danny McBride takes the form of Taiwanese animation in a perfectly bizarre music video for Southern Comfort. It’s a surreal adventure that features McBride in a wingsuit and soaring towards an epic night out that’s kicking off with a "ShottaSoCo" — a catchphrase rendered unshakeable by the driving Detroit Grand Pubahs techno soundtrack. One of the most dynamic things about animation is how even its own "genres" remain open to new thinking and execution. Behold, Honda "Paper" — a gorgeous film composed of thousands of original drawings from a team of animators who worked for more than four months. It’s a mesmerising tale about the origins of Honda, told with the same precision and attention to detail that the company strives for in its products. It’s a unique trifecta of strategy, imagination and craft towards which the Lions tend to wander. You’d have to be living in a department-store holding cell to not suspect that Harvey Nichols "Shoplifters" will steal some hearts in the screening rooms. Regardless of the metal it earns, it certainly deserves a prize for being the best use of user-generated content since the phrase was coined. Using closed-circuit footage from the store’s Knightbridge flagship, we watch genuine perps nicking goods with their faces hilariously disguised by emotive "robber" cartoons. It doesn’t end well for any of our suspects, but the audience gets a winning line — "Like free stuff?" — and a call to check out their rewards app. Brilliant. Finally, the Pixar-esque quality of the Spanish Lottery film "Justino" has captured the hearts of the industry with its resounding success at all the major awards shows to date. This exquisite moving animated film is one of a few gracing the big screen at Cannes this year. But by the end of the week, I suspect that we’ll have seen more than one jury opt to reward bravery. The cynical might snicker at the word, but there’s no other way to describe a retailer willing to close shop on one of the biggest days for business of the year. 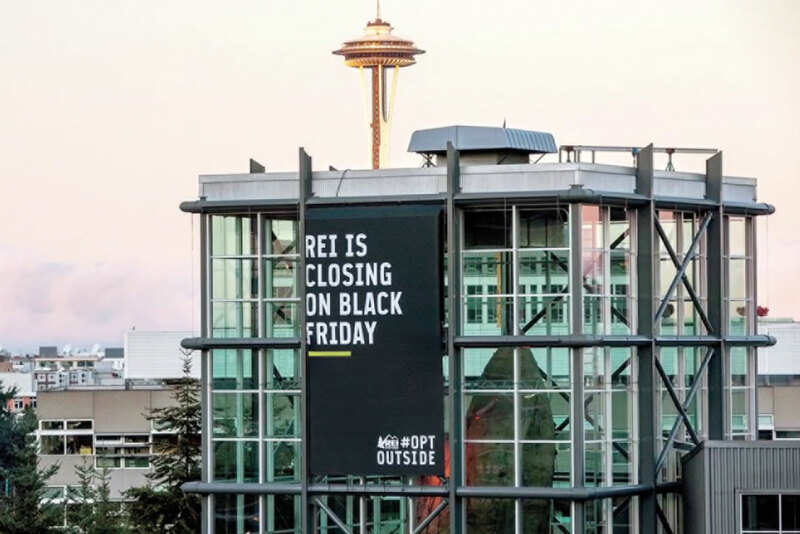 However counterintuitive it all sounds, when REI shut its doors on Black Friday last year, it was an example of a brand living out its own authentic truth. "#OptOutside" tells you everything you need to know about who they are and why they exist. It also tells you everything you need to know about who the bravest among us really are. At the end of the day, it’s those willing to put their money where their mouth is — in other words, our clients.